Josh Burdett is a British actor known for his roles in films such as The Final Haunting and will also be appearing in the upcoming ABC/Lionsgate television series Guilt. Originally from Somerset, he became bilingual after studying French at Royal Holloway, University of London and worked in the yachting industry before starting his acting career, training at the Stella Adler Studio and with Ivana Chubbuck. In addition to film and TV, Josh is also the face of the new commercial campaign for Porsche. 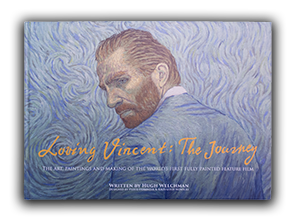 Josh is English but employs an array of accents, including American and the Scottish accent he used for his role as Zouave in Loving Vincent.